Pro-Tec Alarms Ltd has been providing a range of expert security solutions for domestic properties in and around Swansea since 1987. Our team of specialists are available to select and install alarms and cameras for your home 24 hours a day, 7 days a week. We are receiving an ever increasing number of enquiries regarding our domestic security systems from home owners that are looking to protect their property and ensure it is as secure as possible. For your peace of mind, Pro-Tec Alarms Ltd can select and install alarms, CCTV, cameras, and access control specifically suited to your home. 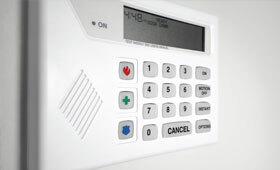 With the help of Pro-Tec Alarms Ltd you can take control of your home’s safety with our security systems. If you ever have a concern regarding your security, our team is available to contact by phone at any time. Our services are available 24 / 7 as we want you to feel secure at all times. We will always do our upmost to ensure you have the best possible safety system installed to suit your requirements. At Pro-Tec Alarms Ltd we take pride in supplying a professional and friendly service at all times. You can reach our engineers on a 24 / 7 call out service which is available to all of our clients, for your convenience. We have over 30 years of experience in the security industry, so you can be certain that you are receiving the best service possible. All of the security systems designed and installed by Pro-Tec Alarms Ltd are unique and bespoke to suit the individual requirements of each of our customers. We also offer a free quote and initial consultation to help you to choose the best possible security solution for your property. Our state of the art alarm systems include an app which allows you to set, control, and monitor your alarm system wherever you are in the world. HomeControl+ allows you to be notified when there is an alarm, or alerted when your children and loved ones return home. 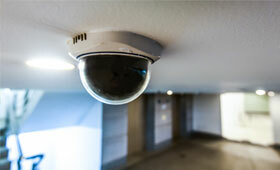 It can control HD cameras to cover both inside and outside your home, wherever you may be. You have complete control over your home security system even if you’re on the other side of the world. Customer satisfaction is of paramount importance to us, which is why we offer free advice and a free initial consultation to help you find the security solution that is right for you. Contact us today to discuss your requirements. The team at Pro-Tec Alarms Ltd always aim to reach you as quickly as possible – our maximum response time is 4 hours, however in the majority of cases we will arrive far sooner. If you have an enquiry regarding our security solutions for domestic properties, to arrange a free quote or consultation or to employ Pro-Tec Alarms Ltd today, call us on 01792 894 995, fill out our contact form or email us at protec1@sky.com and a member of our team will be happy to help!